Today is 4/20/2015. As many of you know 4/20 is the unofficial weed day that pot heads always look forward to each year. Although many celebrate this holiday, not many know how this holiday got its start. Now that marijuana has been legalized in some states, I decided to give a brief history lesson on the weed day origins and give my views on the effects legal marijuana has had on both real life and second life. 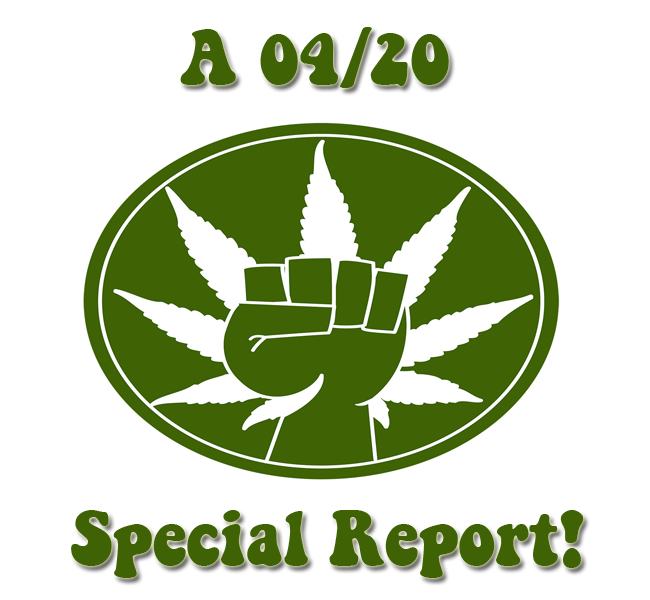 There are many myths out there about how 4/20 got started, like 420 being a code police used when they caught people smoking weed, but I was able to track down the real story. Back in 1971, outside of San Rafael High School in San Rafael, California, four best friends known to everyone as The Waldos knew it was harvest time and got wind of the fact a coast guard member was unable to continue to tend to a big plot of marijuana plants. One of the mischievous teenagers decided it would be a great idea if they could go to the plot and grab some free buds. All in agreement they made the plan to meet after school at 4:20pm to prepare for the robbery by smoking some of their best weed. They never found the plot but choose to continue to meet at 4:20pm every day to get high. The meeting time took off and soon many were meeting to “match up”. One of The Waldos older brother was good friends with The Grateful Dead’s bassist and told the band about the cool trend. Soon after, the band allowed the group to pass out flyer to concert goers telling them to meet the next day at 4:20pm in designated areas to partake in some heavy smoking. Needless to say the rest is history. Although the sale and consumption of marijuana is still a crime federally, 23 states have made is legal for medical proposes. 9 states are pending legislation to legalize it as well. Being that I live in a state that has legalize weed and a township that has decimalized it, I can attest to the fact that even though many people have a negative view on the medical use of weed, It really has help patients deal with pain, depression, anxiety, and other illnesses in a safer way the prescription pharmaceutical drugs. One of my favorite success stories is about a young child that began to have severe seizures at 3 months old almost every day. After a few years of unsuccessful treatment and losing all ability to talk, walk, and eat, the family decided to try medical marijuana in the oil form. Within a year the child’s seizures lowered to about 2 or 3 times a month. She also regained her ability to talk and eat. Not only is she able to walk but she is riding bikes and enjoying her life as a kid. Now, if that doesn’t prove that weed really can be used to heal people then I don’t know what will. I remember when I 1st started SL, before weed was legal, there were very few places you could go to buy joints or blunt. Matter of fact, my 1st sl joint was a free one a friend made due to the lack of realistic looking joints. I have notice that since the legalization and acceptance of weed, SL has a plethora of weed shops, clubs, weed themed clothing and very realistic joint, blunt, bongs, and hookahs. Some that actually gets your avie high. So if one would ask a stoner like me how do I feel about weed becoming legal, I would say that it is the best thing to ever happen in both worlds.